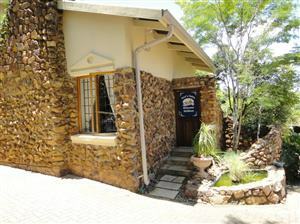 Willow Manor Guest House Brits is an elegant balance between the old and modern luxury accommodation located in Brits, which is a small mining and farming town just outside of Pretoria (52km) and 88km from Sun City. Our guest house offer accommodation in Brits with breakfast as an optional extra, lunch packs can be arrange, dinner prior to booking. 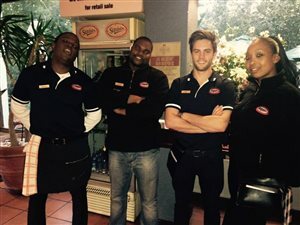 For your convenience Wimpy is only 3 houses (200m) from our establishment. Restaurants can be found within 3 km radius. We have eight bedrooms with different bed and bathroom facilities. Each bedroom has a 32" LCD TV, satellite TV - OVHD and a DVD player (DVD Library for your entertainment needs), as well as minibars and tea and coffee facilities. 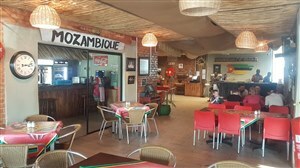 Willow Manor Brits Guest House has a comfortable lounge and free Wi-Fi access is available in public areas and a large outdoor swimming pool for guests. Brits is known for its fragrant citrus groves and for producing the majority of South Africa's platinum. Our town has played an important role in the South African mining industry. Platinum comes from Rustenburg as well as the Brits districts, which together produce more platinum than any other single area in the world. Guests can visit the local crocodile farm or De Wildt Cheetah Research Centre. The Rainbow Cultural Village is a great place for guests to explore Ndebele, San Bushmen and Afrikaner villages. Vaalkop Dam Nature Reserves offers bird lovers the chance to see over 340 different bird species. We at Willow Manor invite you to come relax and enjoy the comfort of our Guest House which sits in the heart of deep South African culture and history. All our rooms are non - smoking. We do have smoking areas. Breakfast not included in quote, additional R100 for breakfast payable at the guest house. Or the Wimpy is 200m (3 houses) from us. The WImpy is in the residential area. Children u/05 sleeping with parents do not pay extra only for breakfast. We do not serve breakfast over weekends and public holidays. - SUPERIOR - King size bed (2 single beds), 32" Flat screen TV, DVD Player, OVHD satellite, Coffee station, Mini Bar fridge, air conditioning unit, safe use your own pin, bathroom with shower and bath. Closet, Balcony. - STANDARD DELUXE - King size bed (2 single beds), 32" Flat screen TV, DVD Player, OVHD satellite, Coffee station, Mini Bar fridge, ceiling fan, safe use your own pin, bathroom with shower, closet. - King size bed (2 single beds), 32" Flat screen TV, DVD Player, OVHD satellite, Coffee station, Mini Bar fridge, ceiling fan and air conditioning, safe use your own pin, bathroom with shower, closet. - SUPERIOR - Double Bed, 32" Flat screen TV, DVD Player,OVHD satellite, Coffee station, Mini Bar fridge, ceiling fan and air conditioning unit, safe - use your own pin, bathroom with shower and bath and closet. - STANDARD DELUXE - King size bed (2 single beds), 32" Flat screen TV, DVD Player,OVHD satellite, Coffee station, Mini Bar fridge, ceiling fan, safe use your own pin, bathroom with shower and closet. - DELUXE - Double bed, 32" Flat screen TV, DVD Player, OVHD satellite, Coffee station, Mini Bar fridge, ceiling fan and air conditioning, safe use your own pin, bathroom with shower and closet. - STANDARD DELUXE - Queen size bed, 32" Flat screen TV, DVD Player,OVHD satellite, Coffee station, Mini Bar fridge, ceiling fan, safe use your own pin, bathroom with bath and closet. What a pleasure booking accommodation through Sleeping-Out. I got refunded the total price I paid for the accommodation just for making use of the Sleeping-Out services and for rating Willow Manor Guest House. Thanks for my refund and for excellent service Sleeping-Out and Willow Manor Guest House. It is a lovely place, I can suggest the place to my friends and family. I'm looking forward to going there again for peace of mind and relaxation. The information regarding meals for a group was not properly explained. Otherwise all was great. The location is so convenient.